The Islamic Republic of Iran has dispatched its third consignment of humanitarian aid to war-ravaged people in Syria’s northwestern city of Aleppo. The head of the Relief and Rescue Organization of the Iranian Red Crescent Society (IRCS), Morteza Salimi, told IRIB that the shipment included 150,000 food cans. He added that two consignments of relief aid, weighing about 80 tonnes, have already been sent to the crisis-hit city over the past two days. They included tents, blankets and oil heaters. The IRCS official noted that Iran has so far dispatched 28,000 blankets, 400 tents, 800 rugs, 5,000 oil heaters, 1,400 boxes of dried bread, eight tonnes of medicines, 700 sets of dishware and 165,000 food cans to people in Aleppo. 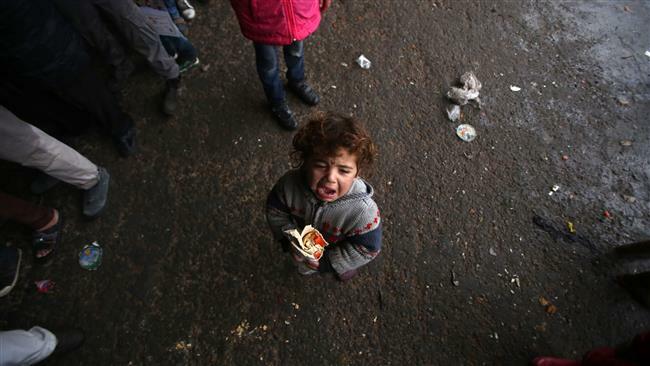 The UN Syria humanitarian advisor, Jan Egeland, said in the Swiss city of Geneva on Thursday that Russia has proposed setting up four humanitarian corridors to militant-held eastern Aleppo in a bid to let in aid and facilitate evacuations from the battered Syrian city. By Wednesday, some 18,000 people had entered Aleppo’s government-controlled areas while about 8,500 had crossed into Sheikh Maqsoud, a Kurdish-held Aleppo district, the UN official said. Over the past few days, about 30,000 people have received aid after fleeing eastern Aleppo, taking the total number of displaced people in the city to over 400,000, he said. In another development on Thursday, the International Committee of the Red Cross (ICRC) announced that it was discussing with the Syrian government the issue of gaining access to people fleeing eastern Aleppo. Dominik Stillhart, director of ICRC operations worldwide, said the Geneva-based humanitarian institution was in touch with all sides to be able to deliver supplies to trapped civilians and to evacuate the wounded.